We’ve been fans of Leicester’s Wren & Wilson for a long time. They make the finest enamel pin badges and postcards with their unique designs, so we couldn’t have been happier when we heard that the talent behind Wren & Wilson, Jen, was launching a line of t-shirts. They’re just as fabulous as we expected and we caught up with Jen to find out more! Did you always plan to launch a t-shirt line? Nope! It was actually a complete accident and not something I had even considered. 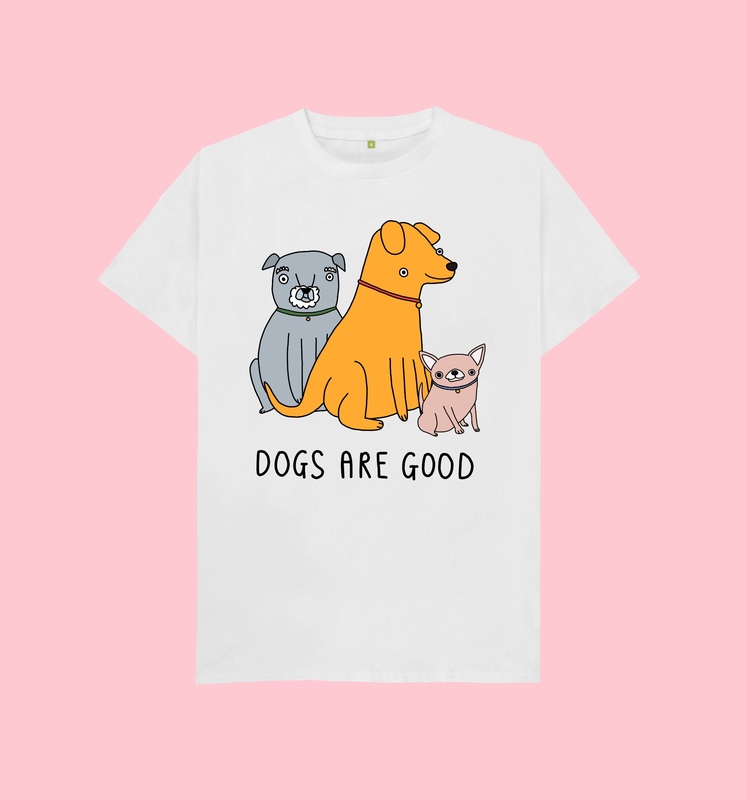 I was looking for a sustainable printers to make a t-shirt design I had in mind when I stumbled across an amazing company that was both environmentally friendly and offered a print on demand service. Having this print on demand option meant instead of only being able to make the one t-shirt as I initially planned, I could have as many designs as I wanted without having to invest in any stock. It’s perfect and I am so excited to have been able to bring my t-shirt designs into the world as I never thought it would have been possible! 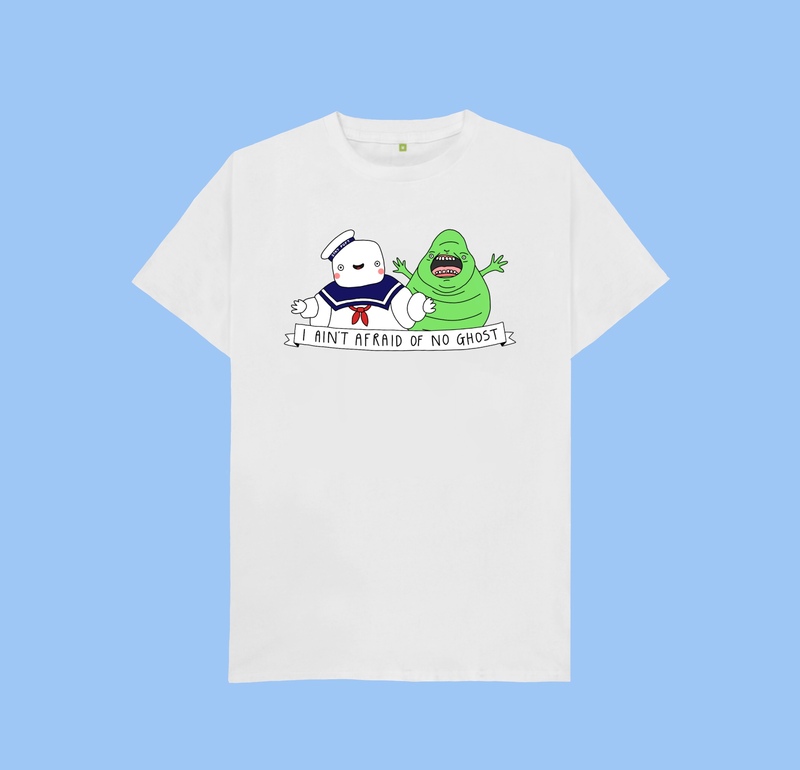 What has inspired the designs on the t-shirts? My love of TV and nature! I am an illustrator and always find myself drawn towards drawing people from pop culture, such as David Attenborough and Tom Hanks. I’m also very interested in environmental issues and climate change, so my some of my designs reflect that too. What makes the t-shirts unique compared to other companies/designers? 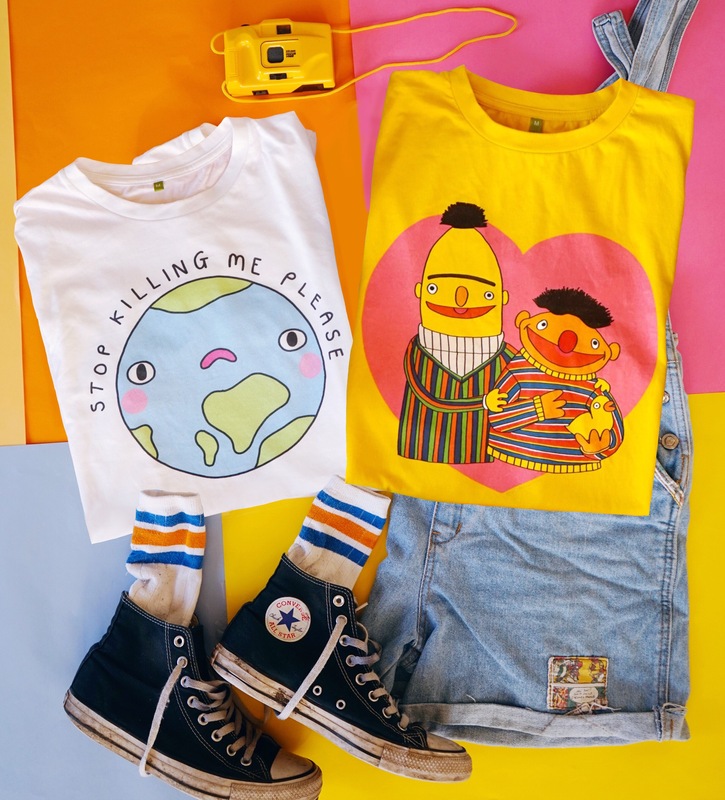 My unique drawing style makes the t-shirts fun and playful and they’ve been created with the environment as the main concern, so not only are they super cool, they are kind to the planet too! They are made from rain watered organic cotton, their production is powered by wind energy, the waste water from printing is filtered and reused so no pollutants are released into the environment and once your t-shirt has lived its full life, you can send it back to be recycled. Plus any parts of the cotton plant that ends up on the factory floor are scooped up and made into the paper that the t-shirts are shipped out in. Will you be expanding the range? If you could have ANYONE wearing your designs, who would it be? Ahhh this is a great question!! Can I have two? 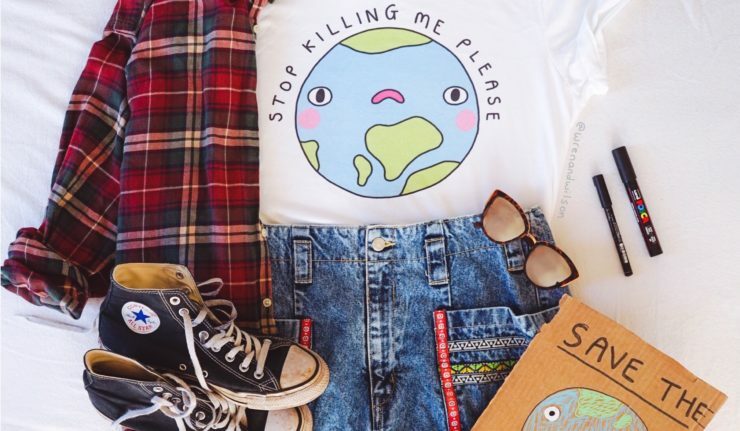 It would be amazing if Greta Thunberg wore my ‘Stop Killing Me Please’ t-shirt, she is such an inspiration and it would beyond amazing if she decided to wear it! Also, if I drew Arnold Schwarzenegger (specifically from Kindergarten Cop or Twins) and he wore it, I don’t think I would be able to live my life anymore because it would be complete. Who are some of your favourite other creatives in Leicester at the moment? Silly Girl Club is an absolute dream, she makes the coolest dresses I have ever seen. Bitsy’s Cupcakery and The Caker Maker make the most AMAZING and delicious cakes. I really love Emma who runs the most beautiful florist; The Bloom Project and Lesser Than 3 has been making the city look so beautiful with all of her colourful painted windows. What else is in the pipeline for Wren & Wilson? I am hoping to concentrate more on my illustrations, so I will be doing drawing challenges throughout the year over on my Instagram page (@wrenandwilson) which everybody can take part in. 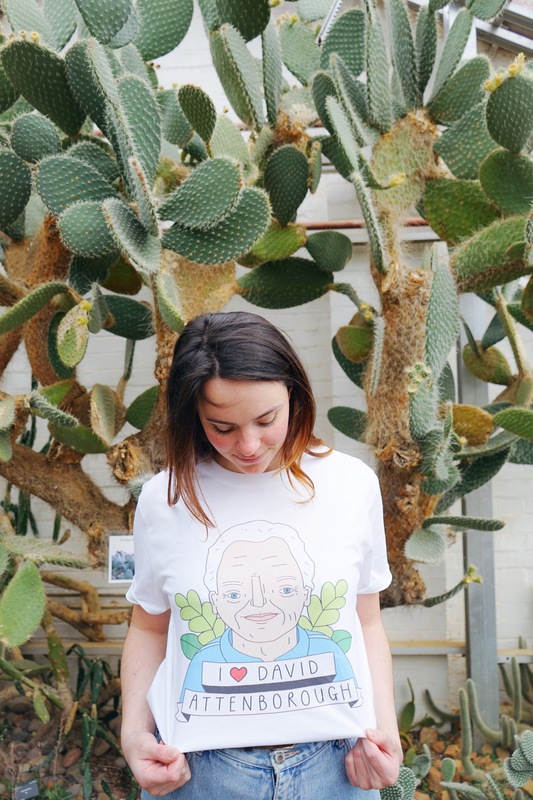 I am also looking into (and this is an exclusive) to host some Sir David Attenborough pop-up shops, which will sell fun and unique Attenborough and nature themed gifts, made by a curated selection of artists. The stall with be plastic free and parts of the proceeds will go to a conservation charity. 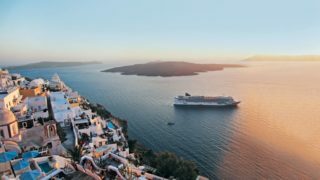 Where can people buy your designs and find out more? I am most active over on my Instagram account @wrenandwilson where there are lots of fun photos and illustrations. My t-shirts can be bought at wrenandwilson.teemill.com and the rest of my products are over at wrenandwilson.com.